Inside Shakespeare's Globe theatre, London. We take you to the unmissable places around England that shaped the world-renowned poet, playwright, and actor. The restored 16th-century half-timbered house situated on Henley Street, is believed to be the birthplace of William Shakespeare and is now a museum. Pay a visit to the restored Tudor mansion in Stratford-upon-Avon where the Bard of Avon was born, and lived until after he was married. A hands-on insight into Shakespeare’s early life, this landmark building is also a shrine to his career. Be sure to check out the ‘Friends and Family’ display, which focuses on his nearest and dearest and the relationships he shared with friends, neighbours, drinking companions and colleagues. The gorgeous wooden buildings on Church street in Shakespeare’s home town. Going back to where it all began, Shakespeare’s Schoolroom and Guildhall in Stratford-upon-Avon underwent a £1.8 million restoration project in 2016 and has been opened to the public since. This is the school that Shakespeare attended as a boy from about 1571 to 1578, the place where he would have first experienced theatre, which now features a recreated classroom from his academic years. Built between 1418 –1420, the Guildhall has been described by historian Michael Wood as ‘one of Britain’s most atmospheric buildings’. William Shakespeare is buried at Holy Trinity Church in Stratford-upon-Avon. 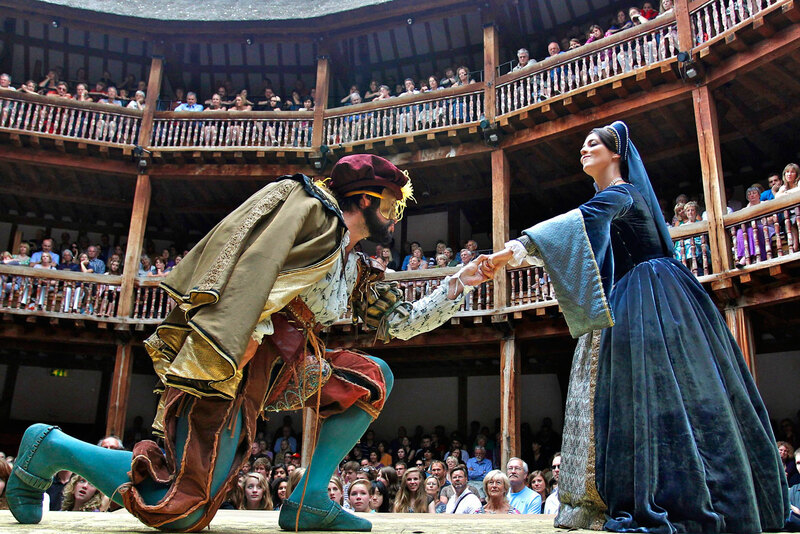 Take your time exploring Shakespeare’s hometown in Stratford-upon-Avon by taking your own self-guided tour. GPSmyCity is a downloadable app that turns your mobile or tablet into a personal tour guide. You will be able to follow the built-in GPS navigation to guide you along the tour to the most popular Shakespeare attractions. The Stratford-Upon-Avon Shakespeare Tour takes in seven attractions over a distance of 1.1 km and lasts for about one hour (but of course you can take as little or as much time as you like). The app also works offline, so you don’t need to worry about data while travelling abroad. Visit the New Place in Stratford-upon-Avon, Shakespeare’s home for the last 19 years of his life, which has become a significant heritage landmark. Shakespeare wrote 26 of his best-loved plays as owner of New Place, which made it all the more devastating when the building was demolished in 1759 by the then owner, who was ticked off by visiting Shakespeare enthusiasts. The re-imagined New Place will showcase how Shakespeare lived at the height of his career, as a family man, a homeowner and a successful entrepreneur. 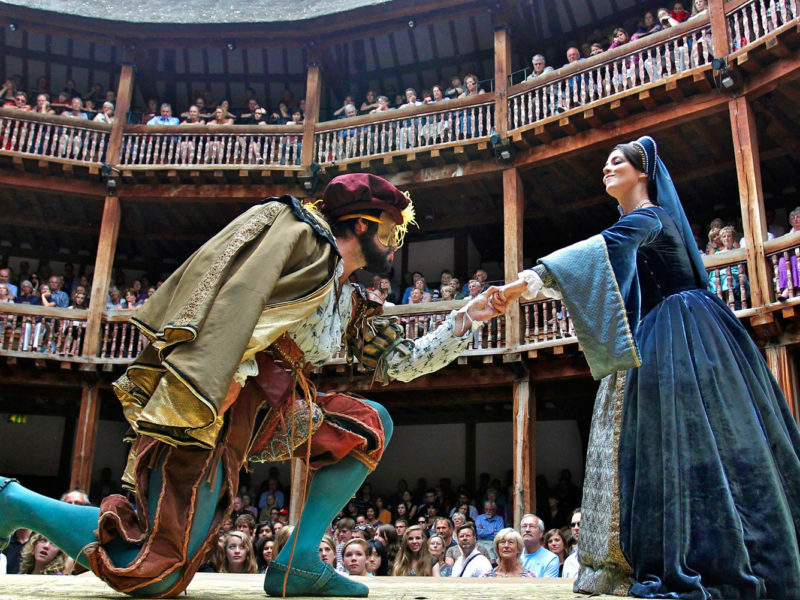 No fan’s visit is complete without a visit to Shakespeare’s Globe theatre, overlooking the River Thames in London’s South Bank. A sympathetic and accurate reconstruction of Shakespeare’s theatre. Housing a modern reconstruction of Shakespeare’s Elizabethan playhouse, the Globe Theatre, here you can see one of the classics performed like theatre-goers did in Shakespeare’s day, standing in the rowdy ‘yard’ in front of the stage. You can also tour backstage or visit the popular exhibition about Shakespeare’s life and how it intertwined with London. You can visit Anne Hathaway’s cottage in Stratford-upon-Avon. Cycling-tour expert The Carter Company, offers a ten-night Shakespeare’s Way tour, following a route that the great playwright regularly took himself. Beginning at Shakespeare’s Globe, where most of his plays were first performed, the itinerary meanders along the River Thames, pedalling through beautiful English countryside of the Cotswolds, passing Hampton Court, Windsor, Oxford (where Shakespeare often rested on this journeys between London and his hometown), Blenheim Palace to Stratford-upon-Avon in the Midlands. Covering a leisurely 17 – 35 kilometres a day, it’s a gentle ride and it includes accommodation at country hotels and quaint inns along the way. More information: Starts Fridays from London and finishes Stratford on Avon. Are you planning a trip to London? Here is our guide to everything you need to know about London before you go.